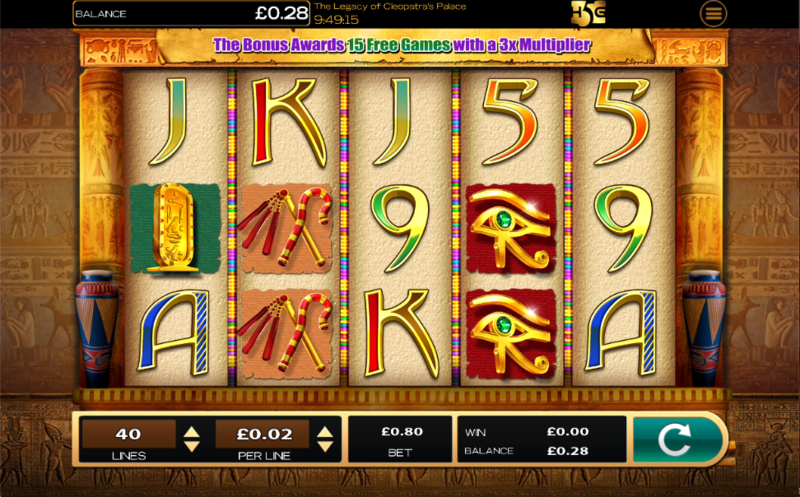 The hieroglyphs and the temples of Ancient Egypt are our destination now as we check out this online slot machine from High 5 Games; it’s title is The Legacy Of Cleopatra’s Palace and it offers players doubled wild wins and tripled prizes in the free spins round. The Legacy Of Cleopatra’s Palace is a five reel slot with three rows and forty fixed paylines; ornate columns support the structure on which those reels spin while the backdrop is a hieroglyph-covered wall which we certainly can’t translate. The higher value symbols are a range of god-like symbols such as gold-tinged scarab beetles and the Eye of Ra; 5, 9, 10, J, Q, K and A represent the lower values. Cleopatra is wild and she will substitute for all others to help form winning combinations except for the Sphinx scatter symbol; the extra good news is that she’ll also double any wins to which she contributes and she’s also worth 10000x your line stake for five of a kind. 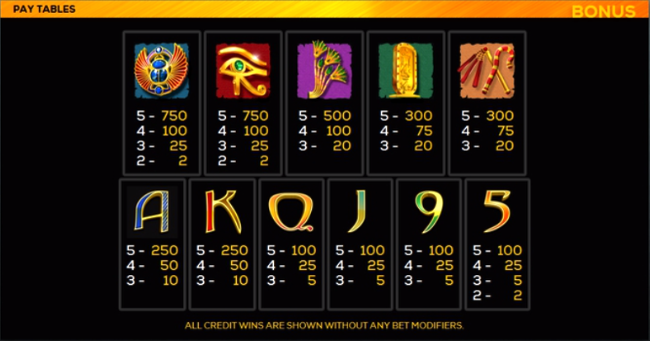 This is triggered by landing at least three of the Sphinx scatter symbols anywhere in view for which you will receive an initial fifteen free spins. Any wins during this round will be multiplied by 3x but if there’s a wild involved as well that will increase to 6x. This applies to all wins except for five of a kind wilds. More spins can be won with three more scatters up to a total of 180. The Legacy Of Cleopatra’s Palace is a rather run-of-the-mill slot but there are some wins to be had in the free spins round and the wild multiplier is handy also; if this genre takes your fancy then give it a go.